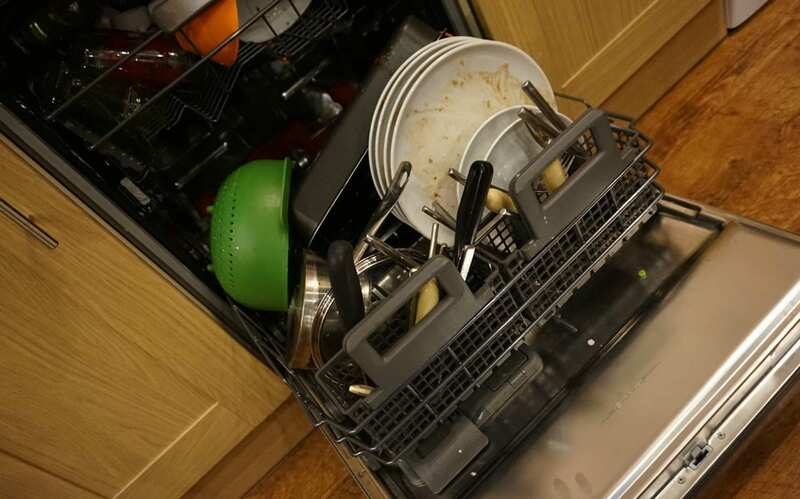 Whirlpool have asked me to test out their brand new dishwasher, including some quite innovative PowerDry technology. Now you know we love great tech gadgets here at Love Chic Living, especially those that look stylish and contemporary, so I was intrigued to find out a little bit more. 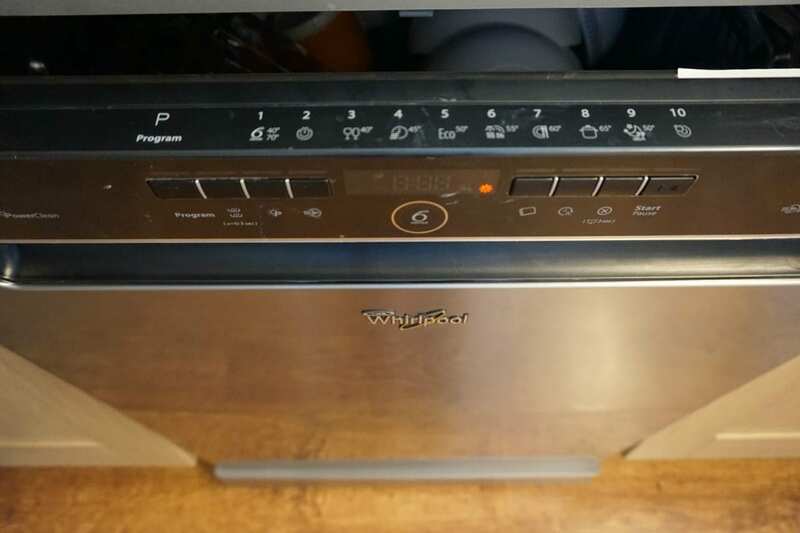 The dishwasher we’ve been testing is the Whirlpool 6th Sense PowerDry, which you can see on their website here. It’s a Stainless Steel fronted model so looks sleek and up to date, with a simple, easy to use text display. There are two main features that I was really interested in testing out: the 6th Sense technology that detects how dirty your plates are and adjusts water and energy consumption accordingly, and the 1 hour PowerDry cycle, where plates are sparkling and completely dry within the hour. The machine has been installed for about 10 days now and we’ve been using it daily. The first thing we noticed? How quiet it was compared to our previous machine. Even on the normal cycle, it’s incredibly quiet, so be honest we haven’t even bothered using the ‘Extra Silent’ setting. And also, how many different settings there are, and combinations you can select, depending on the type of pots and pans you’re cleaning. 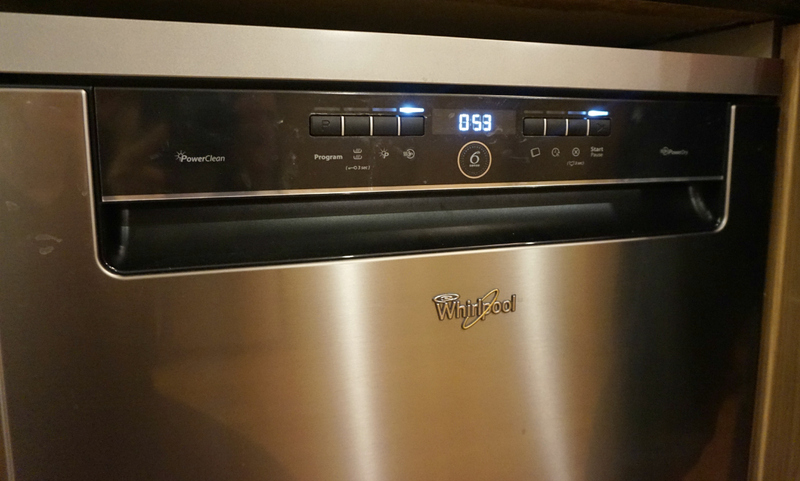 Whirlpool challenged me to cook a Christmas inspired meal in under an hour, and then put the dishwasher to the test on its 1 Hour Powerdry Cycle. 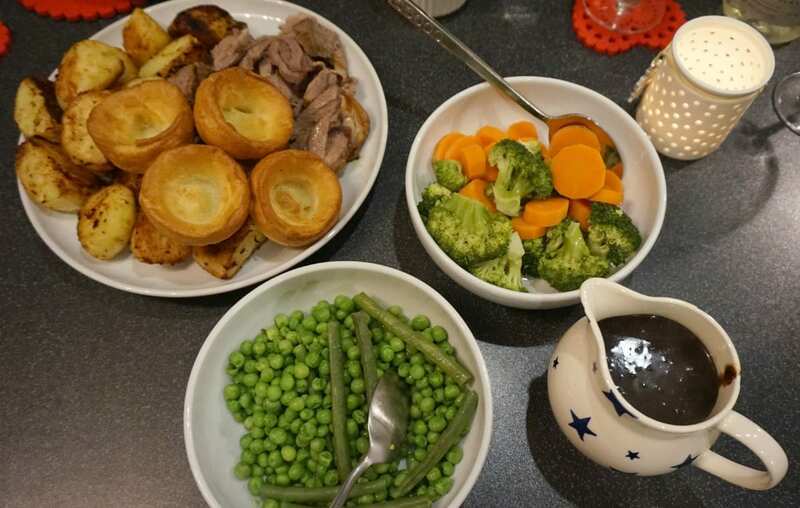 The first challenge was, what to cook that would take just an hour, and that the family would eat! I settled on our favourite Roast Lamb, (which cooks in just over an hour) with all the trimmings. 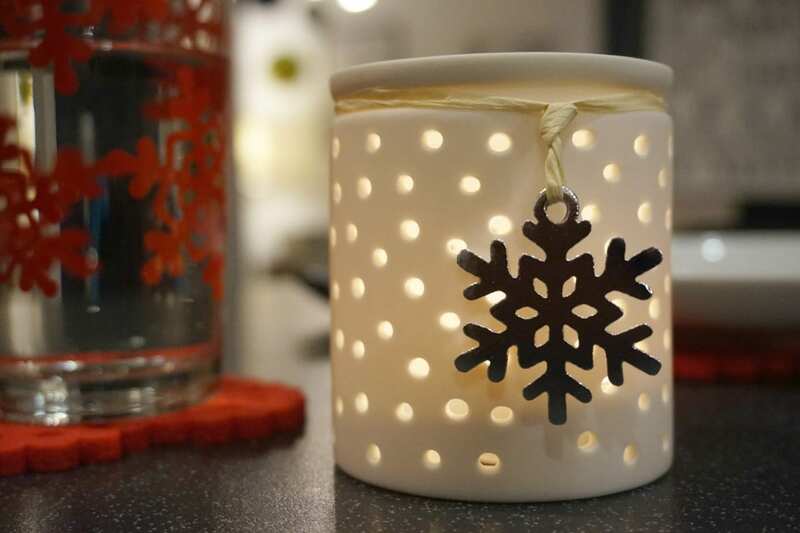 As we are trying to make the most of the challenge, we had fun hunting down our Christmas mats and table accessories; it was a great way to get the girls involved. It was also a good opportunity to put our Joseph Joseph Nest through its paces too. 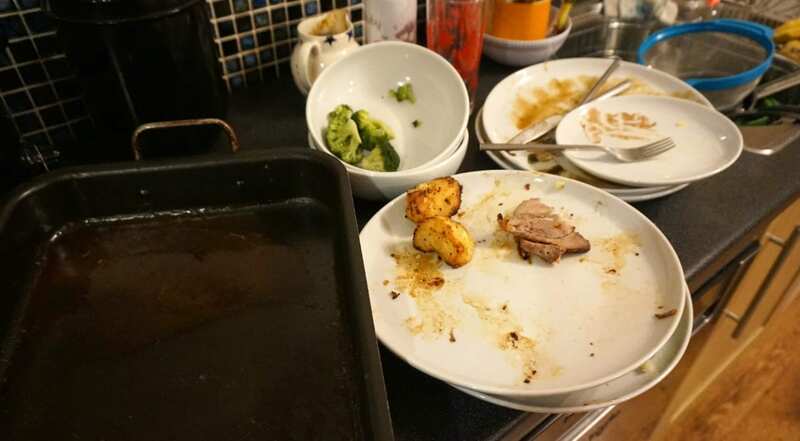 I often do a midweek roast, cutting corners here and there to make it less time intensive but as we were wanting plenty of dirty plates, we went to town a little here. The food was ready and served…. 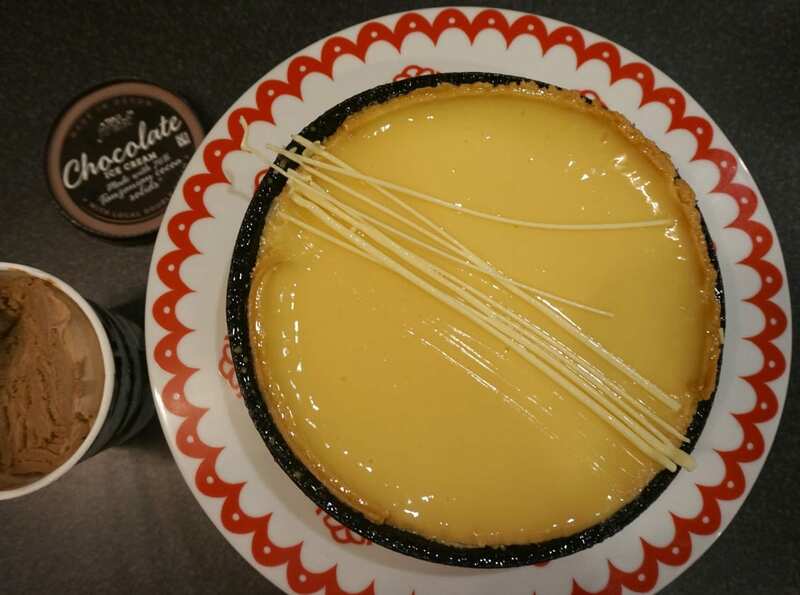 And we even treated ourselves to a Lemon Tart and chocolate ice cream, to really give the dishwasher something to do…. 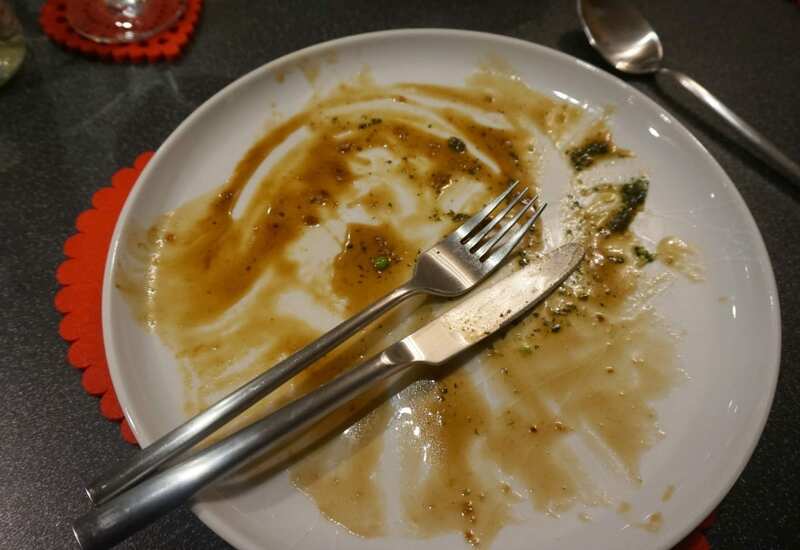 Half an hour later and the meal is complete, so it’s time to load up the dishwasher. 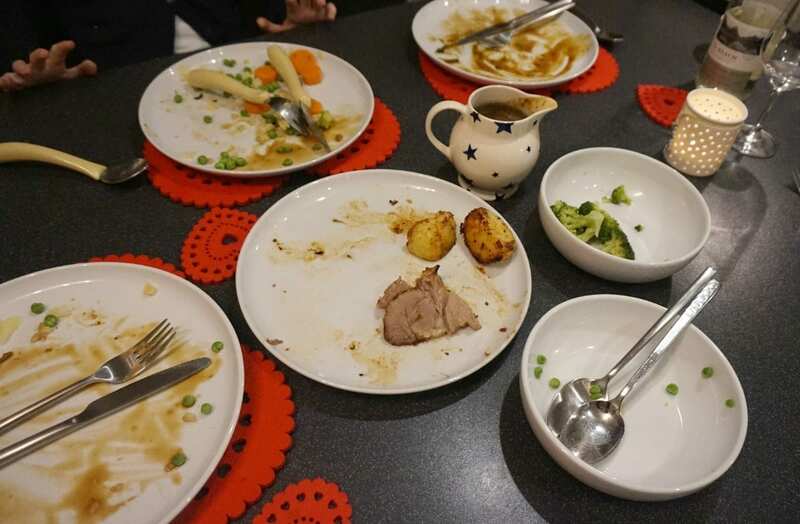 The girls even made their plates ‘extra messy’ they gleefully informed me. That’s quite a bit of mess, isn’t it? All ready to go, and time to get clean with setting 6, the PowerClean PowerDry cycle, which should be done within the hour. The timer on the front of the machine, let’s you know how long is left. If you’re interested in how this is done, read on. 1. There’s no Steam. 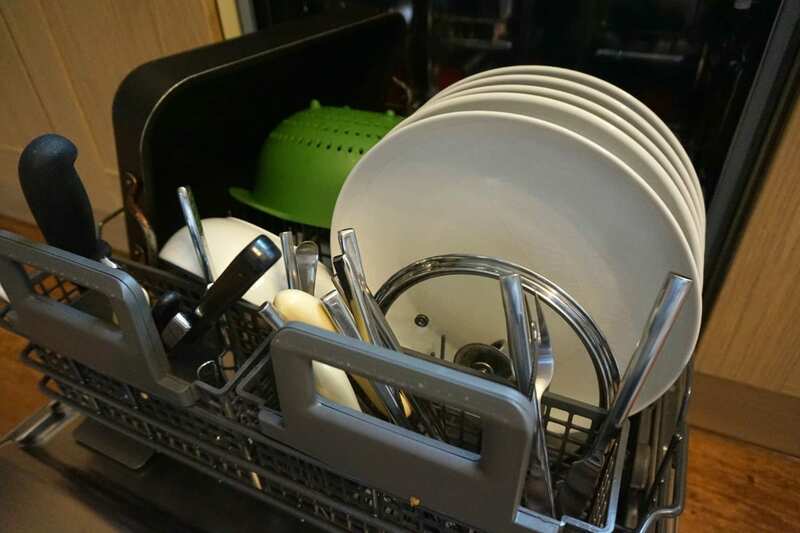 The innovative 3D Airflow System drains the steam out of the dishwasher, meaning your dishes, including the plastic ones, will be perfectly dry, and ready to be placed straight on the dinner table or put away in the cupboards. 2. The PowerClean systems means intelligent sensors detect the level of soil and adjust the water pressure of the 28 powerful jet sprays to ensure perfect cleaning. The jet sprays are positioned at the back of the machine so tins and pans are placed in ‘backwards’ to ensure efficient cleaning. Ok, so 1 hour later and time to see if the plates and pans are clean, and dry. Well, they certainly look sparkling and shiny. Now, its hard to show you whether the plates and pans are perfectly dry, but I will guarantee that they are. Even the plastic pieces from the Joseph Joseph Nest are completely dry. To be perfectly honest, everything sparkles and shines when it comes out of the dishwasher. Glasses and mugs look particularly good, so I’m more than happy to recommend this machine. After the 4 hour cycle of our previous dishwasher (yes, 4 hours!) 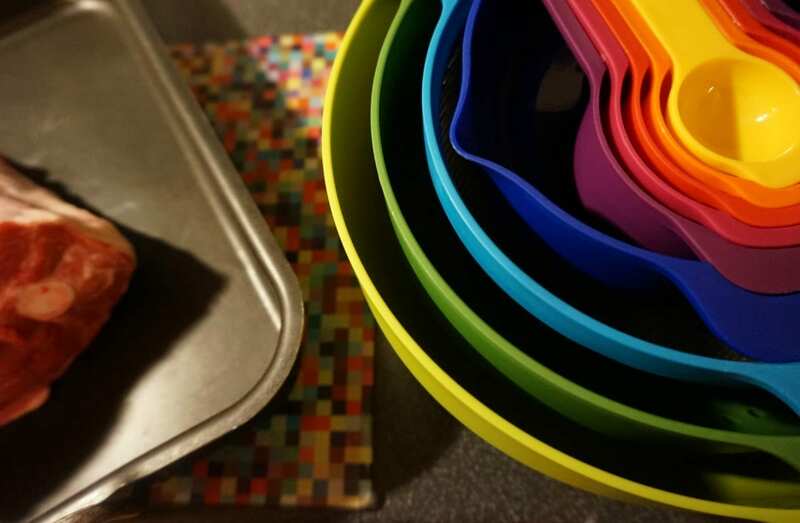 the 1 hour PowerDry cycle is a revolution, particularly when you have a family and children who want their favourite cups and plates ready and waiting for their next meal! The Whirlpool 6th Sense PowerDry Dishwasher retails for £699.98 but is currently on offer in some of the sales (at the time of writing). You can find out more, or buy yours here. Whirlpool are giving away one PowerDry Dishwasher as part of a competition they’re running over on their website. All you need to do to enter is tweet a photo of a dish that you’ve prepared with the hasthtag #PowerDryDining. You can find the full details here, including the terms and conditions. Couldn’t be simpler! Good luck, and do let me know if you are a Love Chic Living reader, and you happen to be the winner. Thank you to Whirlpool for supplying the dishwasher, Joseph Joseph Nest and meal for the purposes of this review. The opinons and comments are genuine and honest. Thanks Amanda, it is really impressive technology. Joseph Joseph is always a winner eh? I love the dishwasher! But could you also pop round and cook that meal for my family too?